As I promised in the morning post (see below if you missed it), I have finally gotten caught up with drawing all the winners. For the first time ever, I have not had a chance to post a pic of the new blog candy (the picture showing on the blog is from the last candy drawing!) so I will put together a nice blog candy prize for the winner. I promise to update that pic this week. I have a couple of announcements to make, however, and I am so hoping that you will all understand. I am finding it extremely difficult to keep up with the comment game so I must discontinue it in the form that we have currently been using. I was happy to give up housework and grocery shopping to make time, but the OH wasn't having any of it. I must admit that clean knickers are high on my list of needs so as a form of self preservation, from today, I will no longer be doing it on a daily basis. However, since I love giving stuff away (and I think you like it too) once a week, from the daily posts with over 100 comments left on them, I will gather all the names from everyone that has left a comment and they will go into the hat and I will draw three winners for the week. It will still be a random drawing since I think that is only fair. To sweeten the pot a bit too, if any post has over 200 comments left before the next post goes up, I will include a bonus draw from that post. I am hoping that this will help ease the time crunch that I have been feeling lately but still keep everyone leaving their wonderful comments too. It is truly special to know that you have taken the time to stop by the blog to see what's new. Okay are you ready for this list? Phew! Get a cuppa and relax, it's a long one and then at the end, I will be doing the Big Blog Candy Drawing! For the Comment game, we left off at Feb.4th so I will begin there. Feb 4th: comment no. 14 left by occasionali!!! Feb 5th: comment no. 32 left by Lynnus!!! Feb 6th: comment no. 60 left by Val C!!! Feb7th: comment no. 35 Lydia Jordan!!! Feb. 8th: comment no. 6 left by Pam Swadling!!! Feb.9th: comment no. 73 left by Melanie181!!! Feb.10th: comment no. 35 left by Ria!!! Feb.11th: comment no. 2 left by Jan!!! Feb. 12th: comment no. 14 left by Sheila Stokes!!! Feb.13th: comment no. 42 left by Clare with paint in her hair!!! Feb. 14th: comment no. 78 left by Cathy in MN!!! Feb.15th: comment no. 98 left by Fynecrafts!!! Feb. 16th: comment no. 41 left by with love and light Theresa H!!! Feb. 17th: comment no. 15 left by Ali W!!! Feb.18th: comment no. 10 left by Mrs. O crafty blog!!! Feb. 19th: comment no. 74 left by Lilygee!!! Feb. 20th: comment no. 36 left by Jayne59!!! Feb. 21st: comment no. 52 left by Sue M!!! Feb.22nd: comment no. 64left by Lindyloo12!!! Feb.23rd: comment no. 104 left by May!!! Feb.24th: comment no. 29 left by Vee Cassidy!!! Feb. 25th: comment no. 112 left by maid of Kent!!! Feb.26th: comment no. 21 left by Mabex!!! 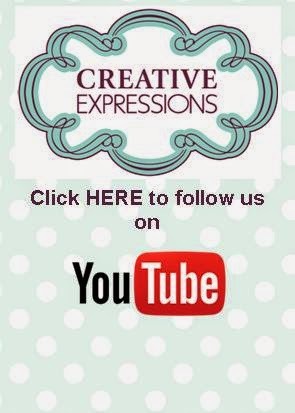 Hello my crafty blog friends! I hope that you aren't getting tired of looking at my lattice dies as I have a bunch of cards to show using them! I will try to spread them out a bit for you. This card happens to be the first card that I made when I received the dies. Mainly because I was dying to see what they looked like when cut using Coordinations card. I happened to grab a piece of black/turquoise backed card to try them with. Well you know what we are like as crafters, we don't waste anything(I don't want to be thrown out of the crafters union, now do I! LOL) so it became the basis for the first card. I sanded back the card to reveal the turquoise coming through giving it an edgier look. I made a faux nestie by tracing the outside shape of the lattice motif. I cut it out, sanded the edge lightly to smooth it and then added some white stitch marks around the edge. I stamped my sentiment then cut it out with the smaller lattice piece and inked it with black soot distress ink. I made a faux nestie for this shape and did matching stitching on it also. I mounted my focal element on a piece of decorative paper that I had (not sure the name though) and then mounted it another backing paper with a harlequin pattern to it. I added some black rhinestone swirls to the bottom and side and finished the card with a double bow made from the black silky crush ribbon. I added a black organza rose as a knot cover and a couple of decorative black stick pins. I used a white inksentials pen to faux stitch the edge to complete my very first lattice die card. Good morning my crafty friends! Thank you all for the wonderful emails and comments you have left for me during these shows! They have added more shows for today at 10, 3 and 6pm. They asked me yesterday to do several added shows and since I was already there (a captive audience so to speak, they really didn't have to pin me down and tickle me until I cried uncle! No not really, but I bet you have that image in your head now, huh? ), it wasn't a problem. Christine Emberson is going to help me out and do the shows on Saturday. What a star she is! Please tune in and see what she has planned. It has been great fun for me and I love that it has brought many new friends to the blog too. Welcome all! Good morning all! I am sort of in love with this sample, not sure if it's the colours or the layout or the dies, probably just the combination of all of them. Sometimes you just finish a card and you just want to look at it for a while (okay, well that's just me then! LOL) This one just sung to me! 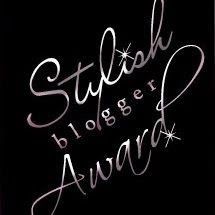 A Sneak Peek, Some Changes, and Blog Candy Winners! Good morning blog friends! My feet are firmly back on the English soil this morning. I have tried my best to bring a bit of the California sunshine with me for everyone too! I had a lovely time first in Florida with my Mom, then at CHA and a final week with my daughter in California, but I am glad to be back now. I probably should have waited until closer to the time, but I kept getting emails asking when my next shows were going to be. Well, all of that has been changed now! Instead of the POTW, I am now doing a POTD on February 21st with a two hour launch at 9pm on Ideal World. The good news is that the shows are based on new Spellbinder Winter releases which are even more stunning than ever! Wait til you see these! These are the first shipments in to the country so if you want them quickly, this is the way to get them! 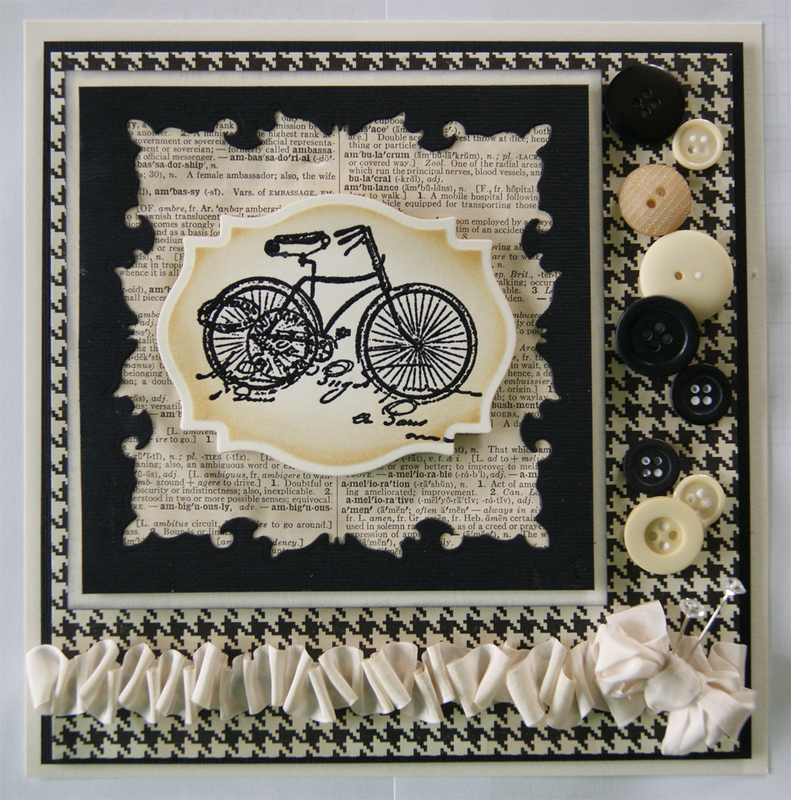 This card is one of my absolute favourites, but I won't be demoing it as I used some one of a kind embellishments on it. See those scrumptious flowers? They aren't ribbon or paper, they are made of metal mesh! They were sent to me by one of the suppliers that I have been working with to find new products. I absolutely love them, but I felt that the cost for them was too high. I didn't want them to go to waste and I had this lovely paper in my stash so on Christmas Day, after eating way too much and the boys were all watching football, I snuck into my craft room and put this one together. I absolutely loved the unusual colours of varying shades of green and wine. See those curly cue things? I thought it needed a little something extra so I cut them off of one of my Christmas tree decorations! This card features several of the dies that are on the POTD shows including Labels 25, the Damask Accents and the Splendid Circles. I did promise to take care of the blog candy winners when I returned and I have done the drawing this morning! before I can send out their prizes to them please. Hi everyone! What do you think of the new vintage dressform stamps? These are being released later this month and I just love them! There is a new vintage dressform embossing folder too. For this card, I stamped the three dress forms and the sentiment using black archival ink. I used the vintage dressform embossing folder and placed it so that it slightly overlapped the stamped images. Once embossed, I sanded the raised areas to highlight and distress it. I used my scissors to distress the edges of the card too. I lightly inked the edges with frayed burlap. I added a bow made from the cotton hemp ribbon but cut the ribbon down the centre to create a more distressed looking bow. I topped it with a sand coloured zipper rose and some black rhinestone swirls. I offset this on a piece of dark brown card that I also distressed. I added a couple of faux screw brads to the top corner to give the piece a more grungey look. I just love vintage! What do you think? Good morning all! How about a simple brown and white card in a medallion style? Of course you could pick any colour you like if you aren't a "brown" lover (I had this ribbon that I wanted to use and it was brown so that's how I picked the colour!) I started with the background card and embossed it with the grid mask design for texture. I cut the largest size of Labels 22 in brown for the back piece of the focal element. That was topped with a teardrop circle in white cut into a frame. I cut a small size of the picot edged circle in white to fit inside the teardrop frame. The large anemone flower was next up and I cut two of them and removed the centre from each of the petals then offset the two flowers. Finally, I stamped my sentiment and cut it out with the smallest size of teardrop circle and mounted it in the centre. I ruched the brown ribbon from the top of the card to the focal element. I tied a bow and attached it to the top of the ruching. I completed the card with pearl PVA glue dots around the edge to frame it. Hi blog friends! I thought you might enjoy seeing the remainder of the pics that I took while at CHA. They are rather random, just things or samples that caught my eye. I can't yet say too much about the new products that we found, sorry about that, but I will say that there may be some kraft card involved (yeah!). This dress took the designer 6 months to make I was told! All the flowers were individually made by hand. Now that is truly patience! Here are some of Wendy Vecchi's samples. Aren't they spectacular! Creative Expressions carries her line now and we are adding the new designs and stamps as well as her new resin pieces from Blossom Bucket. A beautiful sample showcasing some incredible work. I loved the unusual dress and body painting on this model. Here are two of my favourite people, Suze Weinberg and Stacey Caron. I have known Suze for about fifteen years and Stacey is the owner of Spellbinders. Here are a couple of pics of one of the classes that took place the evening before the opening of the show. This class was being taught by Juliana Hudgins who is a designer for the Spellbinders line. 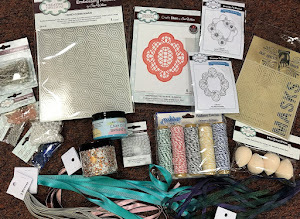 Her new line is called "Positively Me" and I am hoping to be able to play with these new dies when I get back home. A pic of the Spellbinders booth at the beginning of the show.